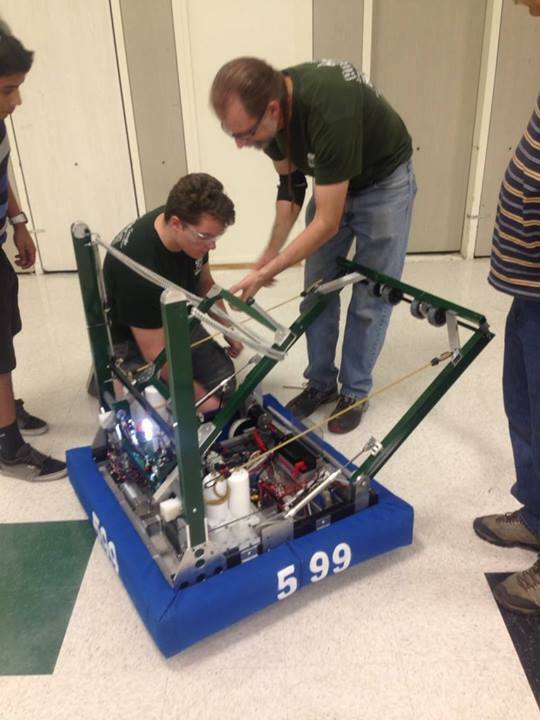 Come see us compete this Saturday and Sunday with our new robot at 2014 Frc Arial Assist Inland Empire Regional, We will also have our Algalita underwater ROV on display to play with. Robot is a catapult with Choo Choo reset mechanism. < 2 sec recock. Full range capability allows multi ball shooting capability during 10 second autonomous. Drive is a dual speed 4 CIM West Coast configuration. Pneumatic intake arm control. Preview video of the Anesthesiologist. This entry was posted on Wednesday, February 26th, 2014 at 1:26 am and is filed under FRC. You can follow any responses to this entry through the RSS 2.0 feed. You can leave a response, or trackback from your own site. Whereabouts in the Inland Empire? Would love to see you and your Arial Assist!